Portable air conditioners and heaters can help with the bills. Portable AC and/or heating units or window units have modernized in the past years. Transforming from a bulky, sharp edged, wall anchor into a sleek, smoothed R2D2 device that you can wheel from room to room. If you’re interested or looking for a portable AC and/or heater, here are some tips to consider. Portable AC units could be a luxury or necessity or a life saver. Literally. CDC cites 700 die from heat exhaustion every year. What’s even worse, CDC cites more than 13,000 deaths from hypothermia. So, what factors do you consider when looking for a portable air conditioner or heater for the home. Price is always a factor but price is a factor of use. In other words, what do you need it for. One room in your house or apartment? Or, to wheel in from room to room so you can leave the central air off and save energy? Or to rent during the summer because you experience one or two hot months a year? All of the above? Measure the size of the rooms to gauge the size of the AC unit that will best serve your purpose. Here is a good chart to use as a guide. AC units blow out hot air so you need to have the exhaust system in mind. Portable air conditioners have either one hose or two hose exhaust units that you can install in your window to blow outside. The current units have clear instructions on how to install and are fairly easy to construct. It’s basically open the window and set it upon the sill and close the window to lock in place. Make sure you look at the instructions and follow closely. Other interesting things to note is some are portable AC and Heating units that would broaden its use and value. Some have dehumidifiers as part of their use. They’re programmable and have remote controls. 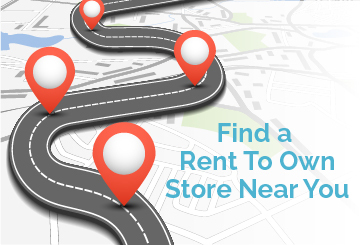 If you need them for a couple of months then rent them from your local rent-to-own store. Or try them out before you buy as their are many brands out there. If you use your local rent-to-own store, have them install the it, as well as, teach you how to install them as part of their package. You’ll need to know how to install it if you’re moving it from room to room. They’ll also deliver and pick up the units for free as well. Just another Shop RTO home furnishing tip.